The electronics industry has grown tremendously all over the globe in the last few years. 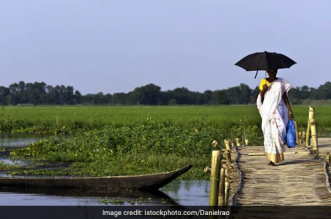 We have seen the remotest of the places become digital and mobile phones and laptops have become necessities of today. But have we ever wondered about the consequences of the growth of electronics in the world and in our lives? 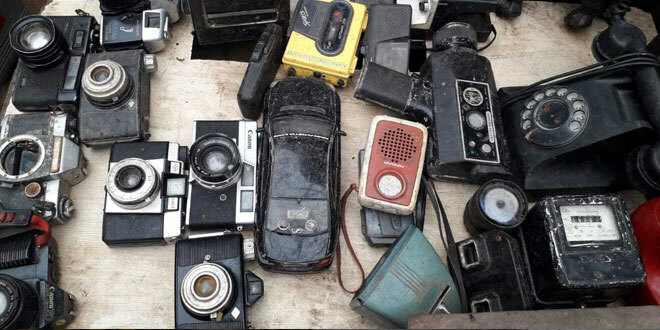 This has given birth to another environmental problem- the rising electronic-waste. 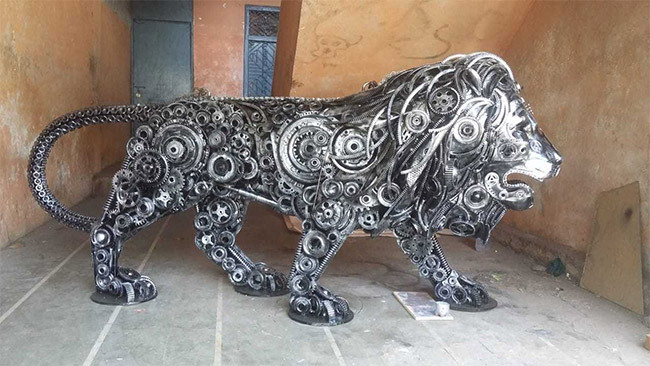 A graduate of Chennai’s College of Fine Arts and the National Institute of Design, Ahmedabad, Mr. Naatesan uses discarded electronic scrap from city dumps, roadsides, his friends, family, and thrift shops. 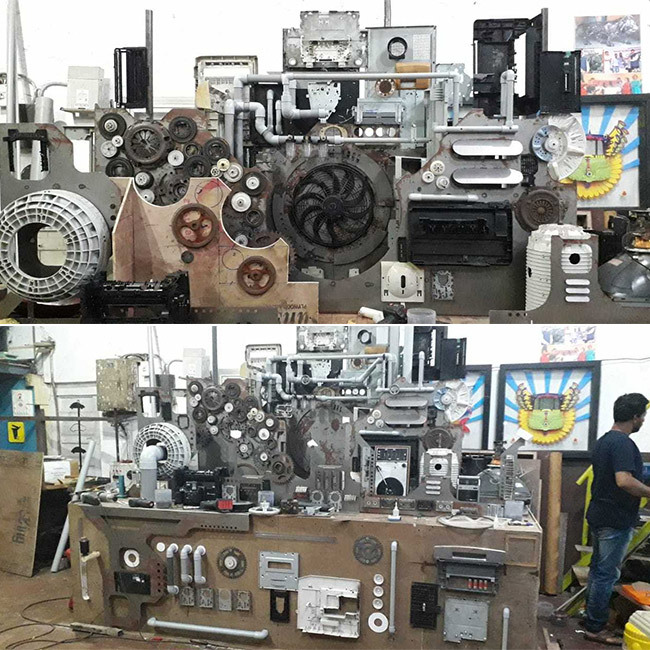 Using e-waste like motherboards, floppy discs, CD drivers, cell phones, CDs, etc, artist Mr. Naatesam reassembles these together to create incredible works of art. Ever wondered what happens to obsolete walkmans and out-of-date videotapes? To blunt saw blades and to dead cell phones. To ancient floppy discs and fused light bulbs? What happens to what we generally call ‘scrap’? We let these pile up in a corner of a scrap yard, get corroded, emit harmful radiation in the process and become hazardous. 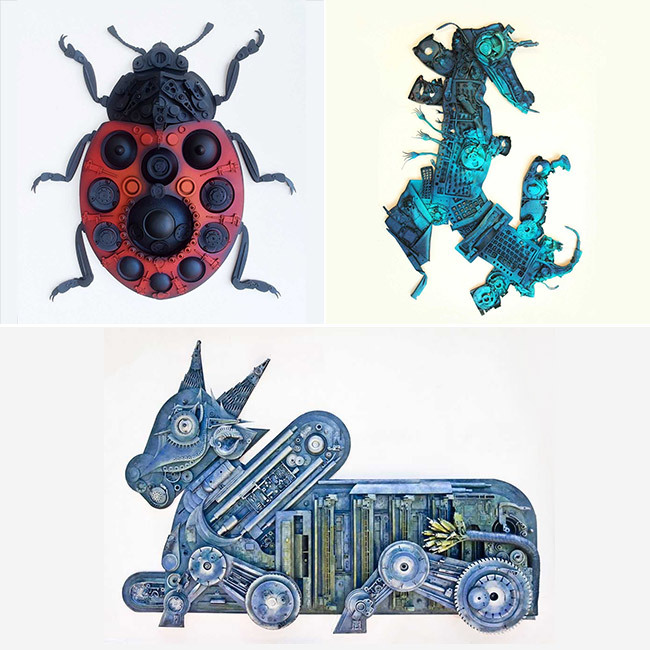 His ‘green-design works’ as he likes to call his art, involves a process of assembling the waste materials collected in the scrap room of his studio, into categories based on size, shape, color, and kind of electronic. He said that he gets electronic waste as small as a wristwatch battery to as big as microwaves and washing machines. 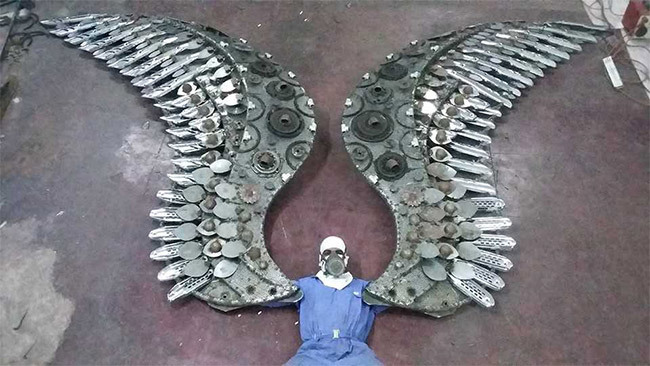 He then uses his art to sensibly to put things into places and give a meaning to the creation. 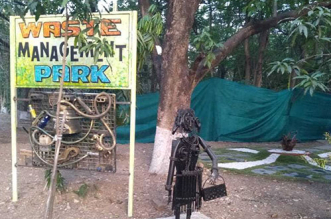 The philosophy of my art is to create awareness of reusing e-waste. It is not art for just the art’s sake. I take classes at my studio and conducts regular workshops for young artists to help them learn the techniques of creating eco-friendly art by using things that are discarded and might otherwise end up in landfills. The idea is to recycle, to prevent industrial waste from polluting our planet. Ganesh Chaturthi is one my favorite festivals but every year on this day, I used to feel sad to see water bodies getting polluted due to the plastic used to make the idols. I decided to find an eco-friendly solution. 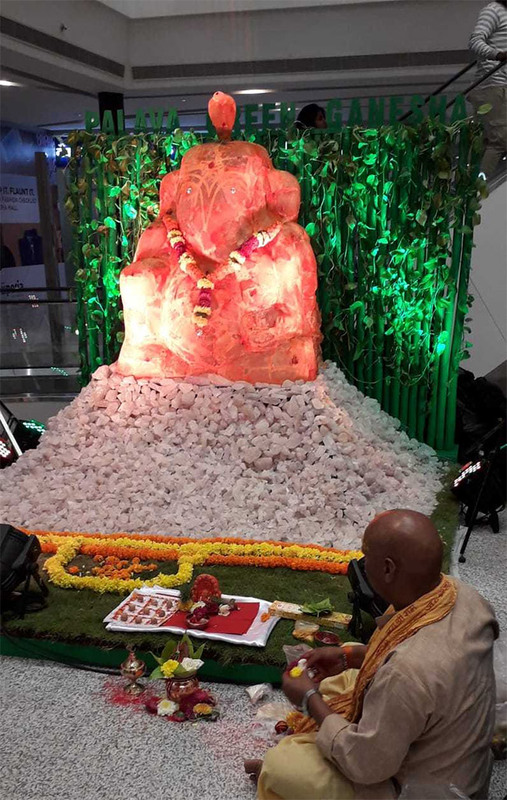 The Ganesh idol made out of alum does not create any pollution and in fact, cleans the waters. By now, it must have cleaned hundreds of gallons of water. My realization through exhibitions is that people get engaged with my art. They try and discover the objects or pieces that I have used in it. My art is for common people. It is understood by all. For example, computer engineers could relate to it by identifying things in my artwork which he comes across in his daily life. Similarly, a kid gets engaged by the toys used in my art. A waiter gets attracted by the toothpicks, stirrer, etc. Girls identify hair clips, pins and other objects in my art. I, as an artist, provoke, trigger, and remind people of their memories. I make my audience locate and look at things in a new perspective.